Welcome friends! This is Part 3 of the Encouraging Bloggers series (feel free to read the Intro, Part 1 and Part 2 if you missed them). You can join me whether you're a blogger or a reader and whether you could use a little encouragement or want to share a little encouragement! If you have a blog, it's going to come up. Money. Should I spend money on my blog? How much should I spend on my blog? What's the best value for my buck? Will spending money on my blog help it grow? Spending money on a blog is not necessarily a bad thing! First, if your blog makes an income then it's easy to justify some spending as it will pay for itself. But what about blogs that don't make money - like ministry blogs, family blogs, or hobby blogs? Hobbies do cost money. It's not unusual to spend money to do the things you love to do. If your hobby/creative outlet is crocheting then you'll be buying yarn, crochet hooks, patterns and more. If your hobby/creative outlet is scrapbooking then you'll be buying books, stickers, pens, accessories and more. Ministries and families cost money too! So I do think it's OK to spend some money on a blog as long as you're being reasonable with your budget and doing it with your family's support. But you can have a blog - and a great blog - without spending any money at all! They're all over the blogosphere! How much money you should or shouldn't spend on your blog is something you have to determine. I have spent very little money on my blog. I get so close to paying for a fabulous new and organized blog design, but then when I see the price and realize I could get a cool new steam mop for my house instead, I back away - LOL! If you want to spend money on your blog (domain, design, move to Wordpress, link-up system, giveaway item, etc.) because you know it will improve it, it will make you happy, and you have the income for it - that might be money well spent. If you want to spend money on your blog just because "everybody else" is doing it, you feel pressured, and you think you won't be a successful blogger unless you do it - it might be better for you to reconsider. What blog improvements are the best to spend some money on? What's the best value? Again, that all depends on your blog since each blog is unique. I think domain names are a good buy as you can get them very inexpensively (small annual fee) and people can find your blog a little easier. However, I've seen so many successful bloggers who still use "blogspot" or "wordpress" in their web addresses that I'm not totally convinced buying a domain name is absolutely necessary. Somebody told me once that I should definitely buy my domain name because "they" would take me more seriously. Hmmm...not the best thing to say to a slightly rebellious gal - who are "they" and why do I care what "they" think and what if I don't want to be taken more seriously??!! LOL! I like the idea of spending a few dollars on a blog design if you really can't handle doing some designing yourself and you can find a very reasonable price. But there are so many great free designs available that it is not required to spend a penny! I know my design could use some freshening up - but at the moment it's completely free. My template and background are standard Blogger designs (you can customize the colors) and I designed my header using a simple photo collage in Picnik. While you don't have to spend money on your blog design, you should definitely put some effort into it - it does have some effect on readers and whether they will return (note - not all readers have the same tastes so you'll never make everyone happy with your design choices!). Spending money on your blog will not necessarily bring great growth and lots of new connections. Sometimes it seems that way as we hop from blog to blog or see people talking on FB and Twitter about the latest and greatest things they've done with their blogs. But can spending the money on your blog really buy you love? Not always and not always the lasting kind of love you want! You could spend money on items to give away on your blog (though you can even do that for free by helping promote your favorite business) and gain new followers, but will they stick around? You could spend money on a fancy new design and then discover that many of your readers preferred the old one. You could spend lots of money, follow all great advice, do everything "right" and still not experience blog growth because it's not God's vision for you at this time. If you are truly trying to make your blog the best it can be, it starts with you, not your money. Blog growth starts with writing good content, showing your personality in a sincere way, and making the effort to connect with your audience. Focus on that first and then decide if you really need to spend money on your blog. Have you spent money on your blog? What has been the best value for you? What expense(s) have you regretted? Have you ever felt pressured to spend money on your blog in order to be "successful?" I have stopped by some of your blogs and they're wonderful! Don't feel pressured to make changes if it's not in your heart to do so! Blog on friends!! Have a terrific day friends! Make a new friend today - stop by one of these blogs and share some encouragement! Well said my friend. I have spent very little on my blog. I paid someone to do the custom header and such but it was very minimal. What you said about being sincere, to me, is key. Let people see you for who you are. If they like it they will stick around. I think the rest will fall into place if you just start there. Your natural passions will lead you to other blogs, websites, etc. and then they'll be beating down your door to promote stuff. LOL! Okay maybe not beating but Gooseberry Patch made me a happy camper when they asked me to review their books. Sometimes stuff like that will come along when you aren't even looking. Just be patient and do your best at being real! Big I'm not out to get rich, just popular size hugs to you! Oh I'm so kidding. But it was funny, right? RIGHT? LOL! Good encouragement. Thanks! That is always what I try to turn back to - what does GOD want for my blog right now? As you said, what is his "vision for me at this time"? So far, I have spent nothing on my blog and feel okay with that. I am really enjoying this series! First, I bought my domain name when I first started blogging. I loved my blog title so much and because I really didn't what God had planned for me as a blogger, I wanted to "secure" my blog name, just in case. I will never regret it! Secondly, I am one of those who moved to Word Press, about 6 months ago and have not regretted that either. I found a very reasonable price for the migration, and hired someone to do my header and custom sidebars. I love that my blog looks more professional, but I know that the look of my blog does not necessarily define me as a blogger. I have to be true to me! 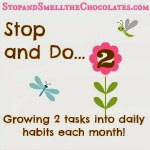 Thanks for linking up my blog here. Now, I am off to encourage some other bloggers! I got free hosting through a blogging class at blogelina.com... I bought my domain name but that was it- I do everything myself (it probably shows :) )... it's encouraging to hear that other people can be "successful" without spending a ton of money on their blog! 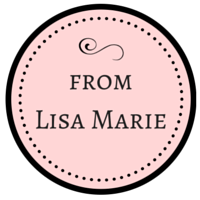 Thank you for including me on your blog list! How very nice of you! I have spent $80 on my blog design in the course of two years. $30 twice for my graphic designer friend to redo the header/design, and $10 twice to Google for being on Blogger. All in all I know that is nothing compared to some blogs. 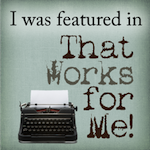 I would love to transpire my blog into a full time job - wouldn't that be great? But right now do not have the time nor the effort it takes to do that. Just call me Cheapo! Snort. These posts just keep getting better! You have found a way to balance the blogging atmosphere and teach others to do the same. I know it isn't much now, but I am new at this and I am learning how everything works. Any ideas would be appreciated. Thanks so much for writing this series. I haven't spent any money on my blog yet. I figure I will give it a few months or even years to see how far I decide to go. I may give it up after a while. This is the 2nd blog I have had. The first one I really liked but a close friend of my wasn't very nice to me about my blog. I think she was jealous and thought everyone would follow mine and not her's. So I moved it to private and then just decided to delete it. I am no longer friends with her. I want friends to encourage me not be jealous of me. I'm just finding this series and am so thankful for it! I am in the season where I have been blogging for about a year and a half, have been growing consistently, but really needed to take the time to pray and consider the WHY of it all. I wholeheartedly believe the Lord is leading me to continue but to keep the focus on him and not others. I did search high and low for a web designer that would help me with the Blogger to Wordpress switch, transition me to a fresh, clean design but not break the bank. My GOAL isn't to make an income, but I am certainly 'preparing the fields' so to speak because I wouldn't be opposed to it.